You’re at the helm of an exciting challenger brand, kicking butts and taking names, changing the category around you forever with your bright thinking and bold ideas. But there’s a problem. Your product. It’s… how do I say it? It’s not very popular. So what do you do? This is a product that you know people should love… if only they could see it like you do. As a market leader, you might try to shave off your rough edges… change who you are to make yourself more palatable. But as a challenger, you have other ideas. You are going to turn these negative impressions into fame driving qualities that people love. Based on work that eatbigfish has recently done to help a client, here are four challenger strategies for turning negatives into positives. “It’s not a bug, it’s a feature” is a running joke within the programming world – it can’t be broken, if I meant it to be that way. But for a challenger brand, this is less of a joke and more of a yell of pride (or frustration, depending on how long you’ve been doing it for). So people don’t like something about your product. So what? You think it’s perfect. Instead of hiding this negativity away, you are going to double down on it. After years of struggling against the negativity placed on the fast food industry by public pressure and documentaries like Supersize Me, Arby’s stopped hiding behind nebulous ideas like “freshness”, or the fact that they also offer salads and decided to double down on what they do best. Delicious, wonderful, (implicitly unhealthy) meat. People don’t like small cars in the US? Fine. 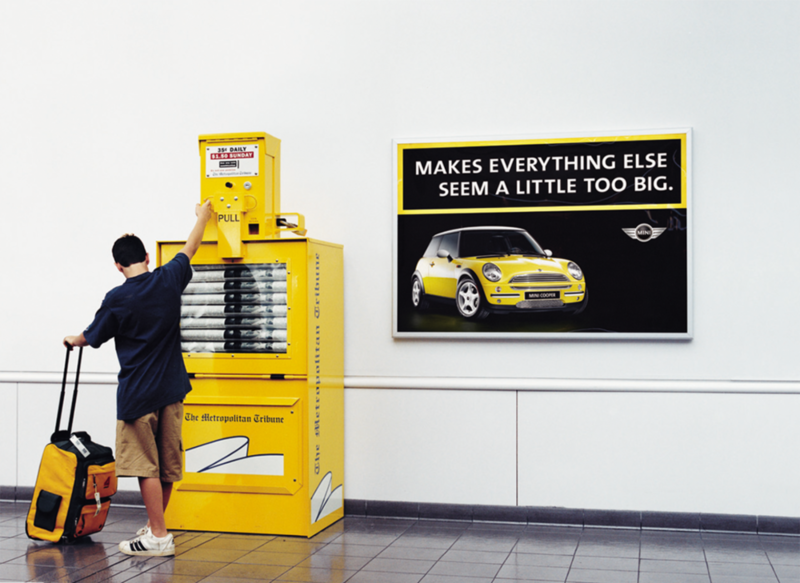 But at Mini, they’re not changing for anything. Instead of pretending to be something they’re not, or speaking about anything, literally anything, but this negative, they’re going to own it, pointing out the ridiculousness of big car culture, and the joy of being just that little bit smaller. Credit: MINI / CBD Group. So what are you going to do? You’re going to love your product for what it is. You don’t care if it’s a little weird. You’re going to celebrate being the strangest soft drink, the darkest beer or the biggest bottomed car in all its glory. Perhaps the issue is people aren’t seeing your product in the way that it was meant to be seen. It’s a mental block that they can’t seem to get around. They see your product and can’t help but think about it in a particular way. Could you give them a new way to think about it? This effectively follows the model of “it’s not x, it’s y”. What do you do if you are the Paralympics and Channel 4 and everyone thinks of your offer as the poor relation to the main event? Simple, you reframe the Olympics as the “warm-up” – you show the world that it is easy to run on two legs and that the Paralympics is where the Super Humans do battle. Or perhaps people think your brand is a rip off? Maybe they’re not seeing it right. Instead, they should think of it as “reassuringly expensive” just as Stella Artois was able to do so successfully. Ok, now this may sound obvious. And a bit dull. But a way of turning your negatives into positives, is to link them to the positives in your brand. It is because of these negatives, these apparent defects, that you are able to deliver such an amazing product. Giffgaff have recently explained that because they are small in comparison to the main UK cell networks, a weakness that might make them seem unreliable or unpopular, they’re able to deliver a much more intimate relationship with their customers, in an ad that seems somewhat inspired by the old Barclays “Big” spot. Guinness has a reputation for being an annoying beer to order at a pub, due to the long preparation time of its three part pour. This used to be a thorn in the side of the brand, with people avoiding ordering Guinness at a crowded bar, due to how long it would take. But Guinness famously showed that this negative, was actually the secret to the perfect pint. Good things come to those who wait, they told us. This was an experience that would not be rushed, but that would be worth every extra second of its delivery. Maybe there are a lot of people who don’t like your product… but maybe there are some who love it. What do they know about your brand that others don’t? The final strategy for turning a positive into a negative, is dividing the world between those who get it, and those who don’t. 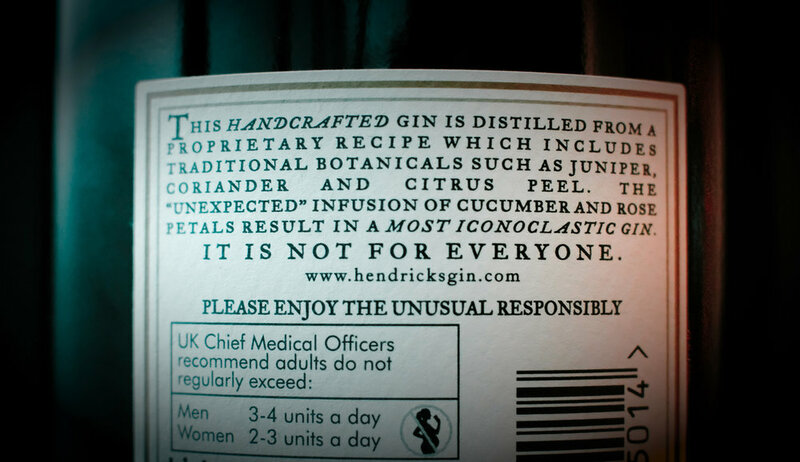 When Steven Grasse created Hendricks Gin, he was told in focus groups that the gin was only popular with about half of the people who tested it. Instead of changing the formulation to one that more people would be accepting of it, he said “let’s just say it is not for everyone,” and that is the very copy printed on the back of the bottle. Marmite has famously always divided the world around their highly controversial product (for those outside the UK, let’s just say that this spread made from yeast extract has quite the pungent flavour profile). You either get it or you don’t. Why is dividing the world in this way valuable? We humans are tribal creatures. We often, subconsciously perhaps, define ourselves by who we align with, what we agree with and what we buy (or don’t buy). And we also hate to miss out on something that others might be enjoying. So if you find yourself dealing with a negative perception about your brand our product, before trying to get rid of it, see if you can think like a challenger and use it to your advantage. If you’re interested in speaking to eatbigfish about helping turn some of your brand’s negatives into positives, get in touch via hello@eatbigfish.com.